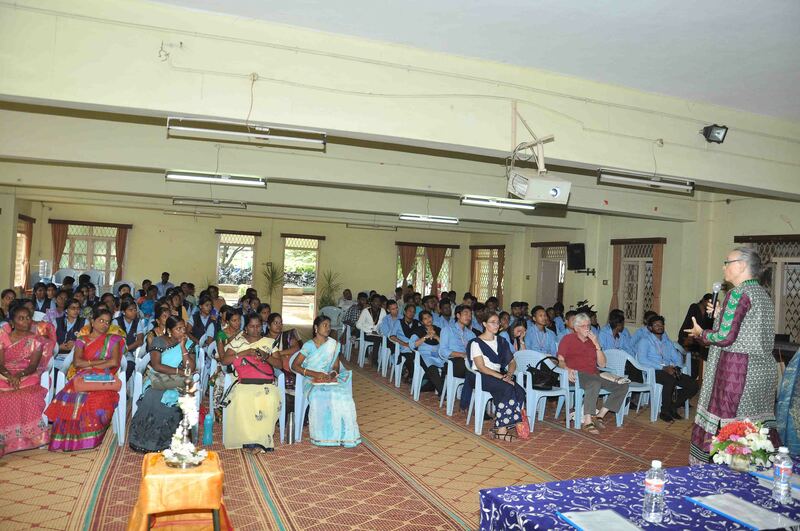 The Post Graduate & Research Department of Social Work, Sacred Heart College conducted an International Seminar on the Prevention of Child Sexual Abuse on 24th November 2018. 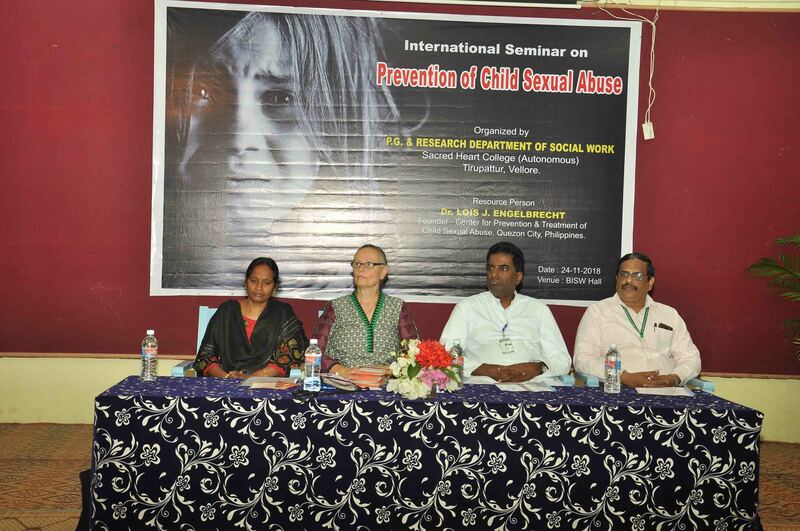 The seminar was the need of the hour as India is rapidly facing problems related to Child Sexual Abuse. National reports deliver an alarm on the rate of incidents. “In India, a child is sexually abused every 15 minutes, according to the latest government figures”. Being vulnerable is not their fault, but the same cannot be sustained, as the elders, parents and teachers are entrusted with the responsibilities to prevent and safeguard the children from such abuse, stated Dr. Lois J.Engelbrecht, Founder – Center for the Prevention & Treatment of Child Sexual Abuse, Quezon City, Philippines who was the resource person for the day. 5. Role of parents, institutions, government and public in ensuring child safe and healthy environment. 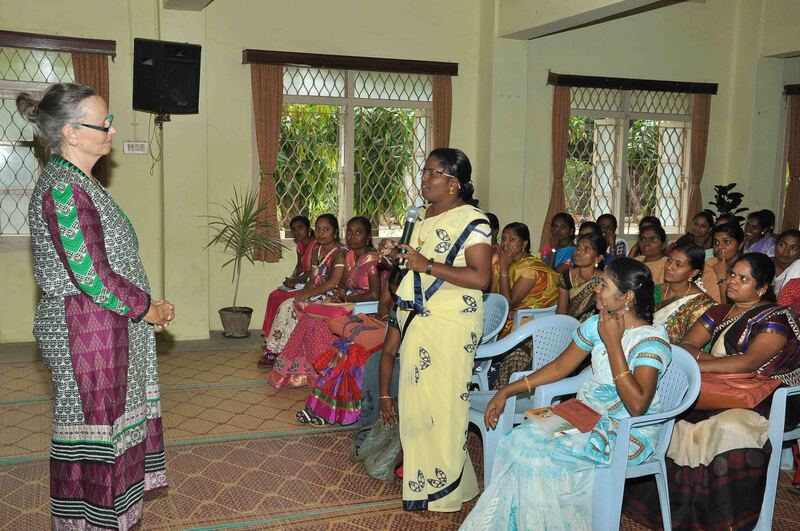 The target audience/participants included college students, research scholars, teachers from schools and colleges, NGO personnel and psychologists. Dr. Lois J.Engelbrecht stated that India ranks number 1 amoung countries worldwide for boys who have been sexually abused. She addressed the importance of safe touch and unsafe touch. She also stated that Child Sexual Abuse occurs by building trust, helping and showing love to children. Dr. Lois J. Engelbrecht explained about the Accommodation Syndrome which is otherwise called Grooming. She also stated the impact of Child Sexual Abuse in India. At the conclusion of the programme, students were given an opportunity to share their feedback on the seminar. The feedback guidelines were given to the student to evaluate the importance of seminar. During the feedback session many student expressed the need and the importance of the topic in today’s context with special reference to youth as the change agent for the world. 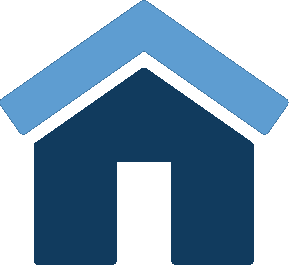 They further stated the resource person were very highly skillful, resourceful, informative, lively and dynamic.